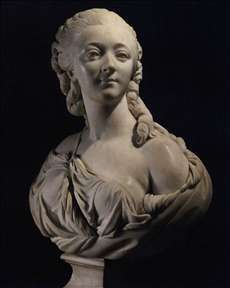 French sculptor, who was a pupil of Jean-Baptist Lemoyne and studied in Rome 1752-56. 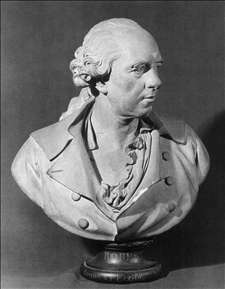 He is best known for his decorative sculpture in the Opera House at Versailles (1768-70) and for his numerous portraits - Lemoyne (1758) and Buffon in the Louvre, Descartes and Bossuet in the Institut. He worked much for Mme du Barry. In 1777 he was appointed Keeper of the King s Antiquities and in 1792 he served on a Revolutionary Committee on the Conservation of Works of Art. His Psyche Abandoned (1791, Louvre) is a piece of Neoclassical sentiment. 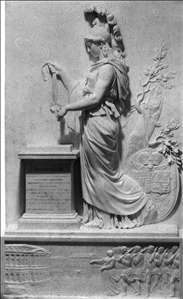 See more details about "Psyche Abandoned"
See more details about "Bas-relief"
See more details about "Bust of Madame du Barry"
See more details about "Hubert Robert"
See more details about "The Princess of Hesse-Homburg as Minerva"